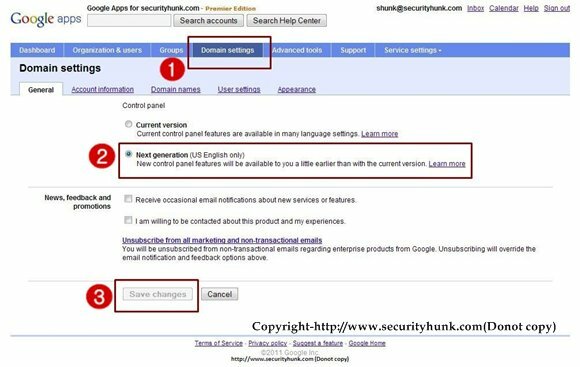 Home / Administrator / Blacksheep / Cookie / Firesheep / Google / Password / Password Hacking / Security / Session / Session Hijacking / Prevent access to Google Apps and reset sign-in cookies. 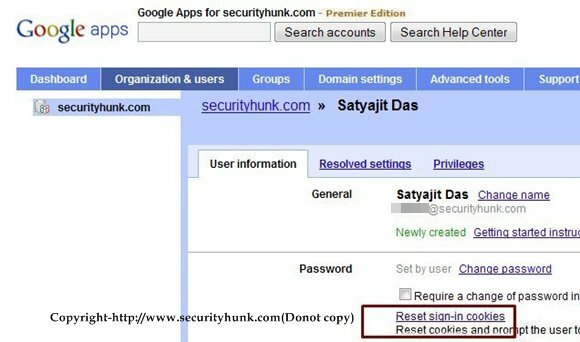 Prevent access to Google Apps and reset sign-in cookies. Google Apps has indeed added a bit of ease to most of the people those who are on move,they can access there favourite google service from anywhere any time if they have access to internet.Suppose the device from where they are accessing the Google Apps account get stolen then the person possessing the device can open their account using the session cookies present in the browser without even knowing the authentication credentials(username & password). particular user and that user needs new authentication to sign-in. 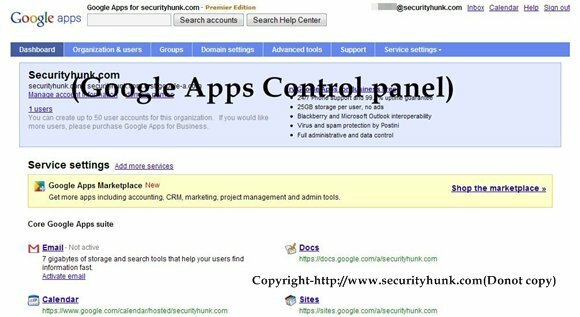 Login(As Administrator) in to the control panel of your Google Apps account and reach the dashboard as shown below.The control panel can be accessed from the link below. To avail this feature you need to have the "Next generation control panel".To do this follow the instructions shown in the image below. 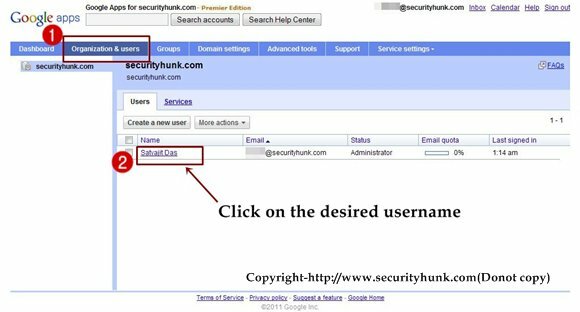 Now click on the "Organisation and users" tab and click on the desired username for whom you want to reset the sign-in cookies as shown in the image below. Now "User information" open up and you can see the "Reset sign-in cookies" option in the password section.Just click on it then the user has to re-authenticate again when they start a new browser session. To remote wipe a mobile device visit here. An informative post. I use my Palm Treo 500 Smartphone for Google Apps but didn't relaise that if the device from where I am accessing the Google Apps account gets stolen then this person possessing my Palm Treo 500 Smartphone can open my account using the session cookies present in the browser of my Smartphone. Thanks for the warning.